ABOUT Jackson's Western Store - Family owned and operated in Wayland, MI, Jackson's has been serving the greater Grand Rapids Michigan area since 1969. Our 17,000 square foot store is considered by many to be Michigan's premier Western store. 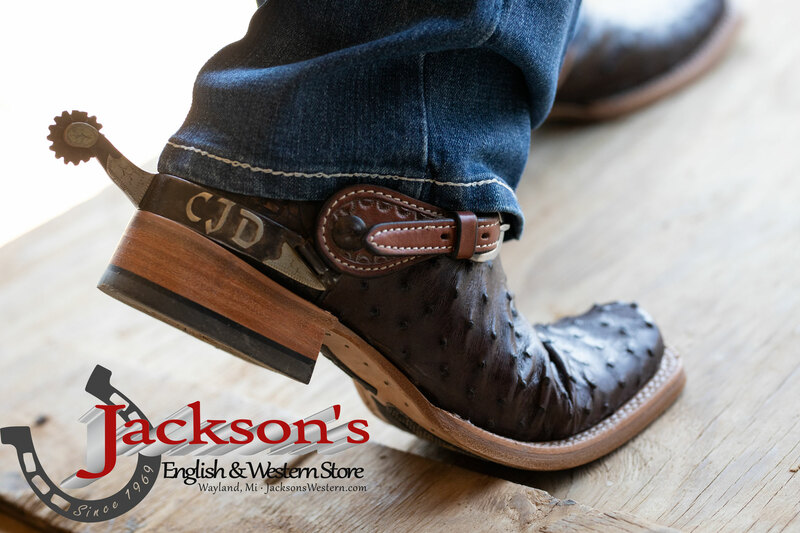 Jackson's lays claim to having the largest selection of cowboy and cowgirl boots in the state, with over 4,000 pairs in stock. MADE IN THE U.S.A. - Jackson's makes considerable effort to carry US-made products at a fair price. Many of our cowboy boots, tack and saddles, leather belts, cowboy hats, and leather gloves are American-made. 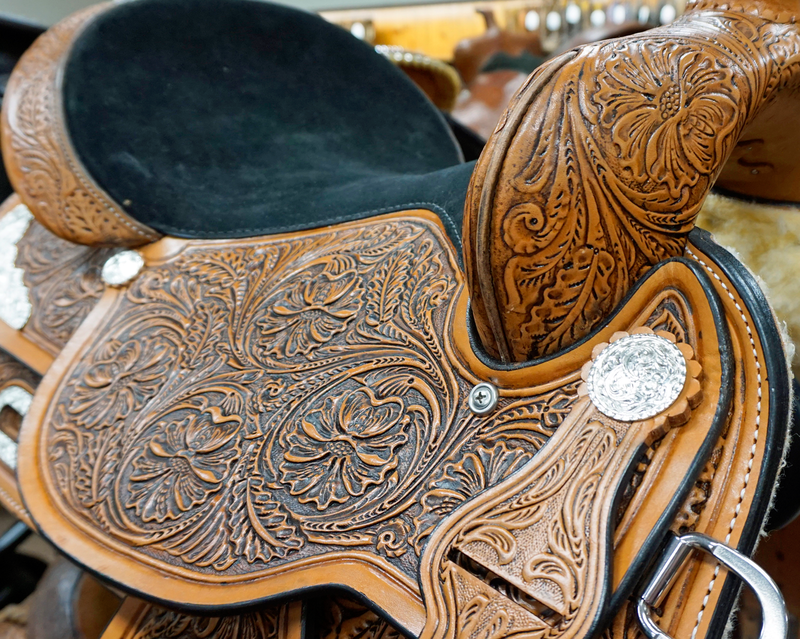 BRANDS -We carry top Western brands like Ariat, Cinch, Wrangler, Justin, and Twisted X, as well as US-made brands like Stetson Hats, Double H Boots, Tony Lama, and more. Fifteen major brands demand their own web page category, and numerous smaller brands are found throughout our product line. PRODUCT GUARANTEE - We stand behind the products that we carry at Jackson's by offering our customers a 1-year guarantee on most items purchased in-store. Contact us through the website or speak with one of our staff members at the store for details. CUSTOMER SERVICE - We take pride in the fact that Jackson's has always been a family-owned and operated business. Our staff is more like a family than a group of employees, which makes a visit to our store much more personalized for the customer. 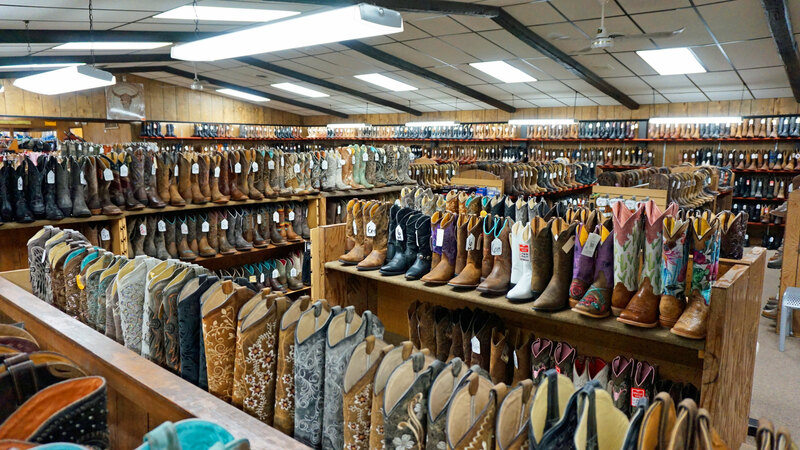 Since cowboy and cowgirl boots fit differently from all other types of footwear, an in-store visit is THE best way to purchase Western boots. We will professionally fit you to ensure your boots are comfortable and teach you how to take care of your boots so they will last for years to come. We can also help you alleviate much of the "breaking in" period - often required for cowboy boots to become comfortable - with our "pre-break in" process. You'll experience a more comfortable fit within minutes! CONTACT US - You can call or message us from our Contact Page, or get directions from our Find Us page. Else come on down and meet us in person. We're eager to help you find what you're looking for, and that upon leaving the store, that you're completely satisfied with your purchase from Jackson's.